What Is the Largest Unicellular Organism? Home » Science Notes Posts » Biology » What Is the Largest Unicellular Organism? The only way to view most unicellular organisms is with a microscope. The vast majority of cells are very small. However, the largest single-celled organisms are visible to the naked eye and big enough to hold in your hand. The algae Caulerpa is generally recognized as the largest unicellular organism. However, there are many super-sized one-celled creatures. What Is the Biggest Cell? The largest single cell is usually said to be an ostrich egg. Before fertilization, the average ostrich egg is 15 cm (5.9 in) long, 13 cm (5.1 in) wide, and weighs 1.4 kg (3.1 lb). While it is true the ostrich egg may be the heaviest single cell, it is not the largest! Colossal squid nerve cells can be up to 12 m (39 ft) in length. Even human nerve cells can reach 1.5 m (4.9 ft) long. So, in the animal kingdom, it’s fair to say the ostrich egg is the most massive and the squid nerve cell is the longest. What Is the Biggest Unicellular Organism? While ostrich eggs are very large, they aren’t unicellular organisms. The egg only contains half the genetic material needed to form an ostrich. In contrast, a single-celled or unicellular organism is a creature that consists of one cell and is capable of reproduction. These large entities are called macroscopic unicellular organisms. They include certain species of amoeba, bacteria, foraminiferans, and algae. Caulerpa (Algae): Caulerpa is a type of algal seaweed that resembles a plant. Even though a single Caulerpa organism may grow to 3 m (10 ft) in length and have up to 200 fronds, it only consists of a single cell. However, each Caulerpa cell is multinucleate, meaning it contains multiple cell nuclei to direct tasks within the gigantic cell. Parts of the cell serve different functions, acting much like photosynthetic leaves, stems, and roots. 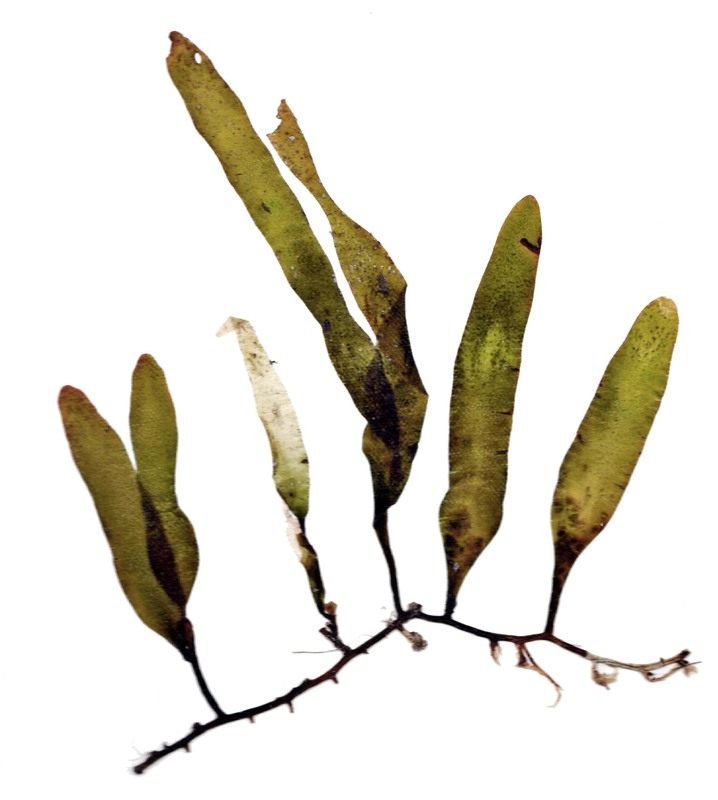 The largest specimen of this algae is lives in the Mediterranean. Other species are round and green. These “sea grapes” are edible and said to have a peppery flavor. Syringammina fragilissima (Protozoa: Foraminifera):Syringammina has the common name of “living beach ball.” The organism is a type of foraminiferan, which is an amoeboid protozoan with streaming cytoplasm and a hard outer shell or test. 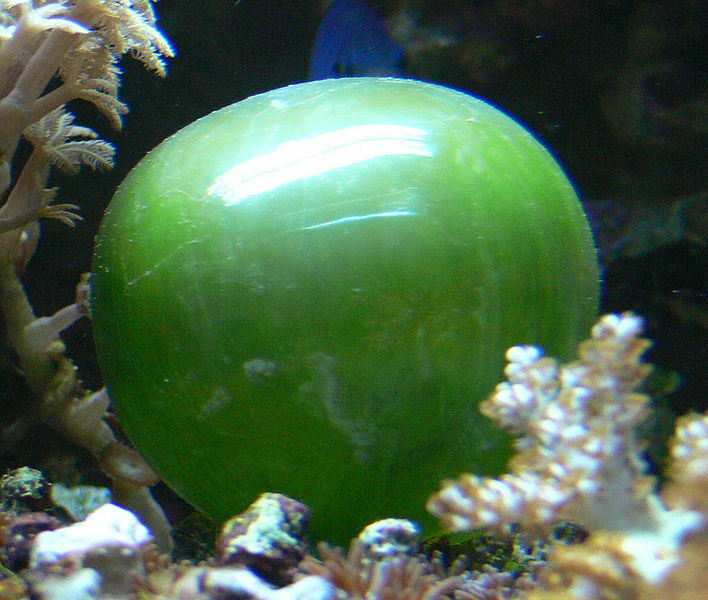 It is sometimes considered to be the largest single-celled organism, reaching a size of 20 cm (8 in) across. It is certainly the largest protozoan and (some might say) the largest single-celled animal. A single cell consists of hundreds of branched tubes. 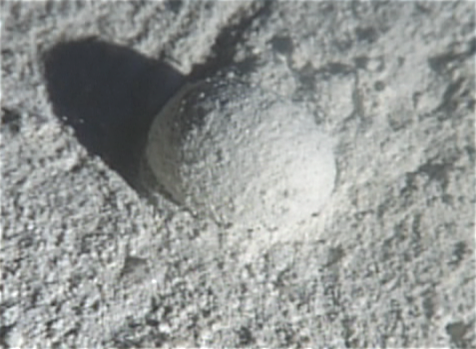 As the amoeba grows, it secretes an organic cement that glues the tubes together to form the test. As the test grows, the amoeba withdraws inward. While scientists aren’t certain how the organism feeds, it may live off the bacteria that colonize the abandoned tubes. Like Caulerpa, each cell contains multiple nuclei. Syringammina lives on the seabed. Syringammina is the largest known foraminiferan, but other members of the subphylum also reach great size. Acetabularia (Algae): Acetabularia is another type of unicellular green algae. A single cell ranges from 0.5 to 10 cm tall, but extends outward along the sea floor. Like Caulerpa, this species displays a complex form. The base of the cell is rhizoid that resembles roots. It contains the single nucleus. There is a long stalk that connects the rhizoid to a photosynthetic cap or umbrella. Scientists conducted experiments to see what would happen if the cap from one species of Acetabularia was cut off and transplanted onto the stem of another species. Over time, the umbrellas morphed to conform with the organism’s rhizoid. The experiment demonstrated a cell’s nucleus determines its characteristics. Gromia sphaerica (Protozoa: Amoeba): Gromia is a giant, spherical amoeba that ranges in size from 4.7 to 38 mm (0.2 to 1.5 in). The sphere is a porous organic shell. The amoeba extends filaments out from the bottom of the shell to slowly move along the sea bed. 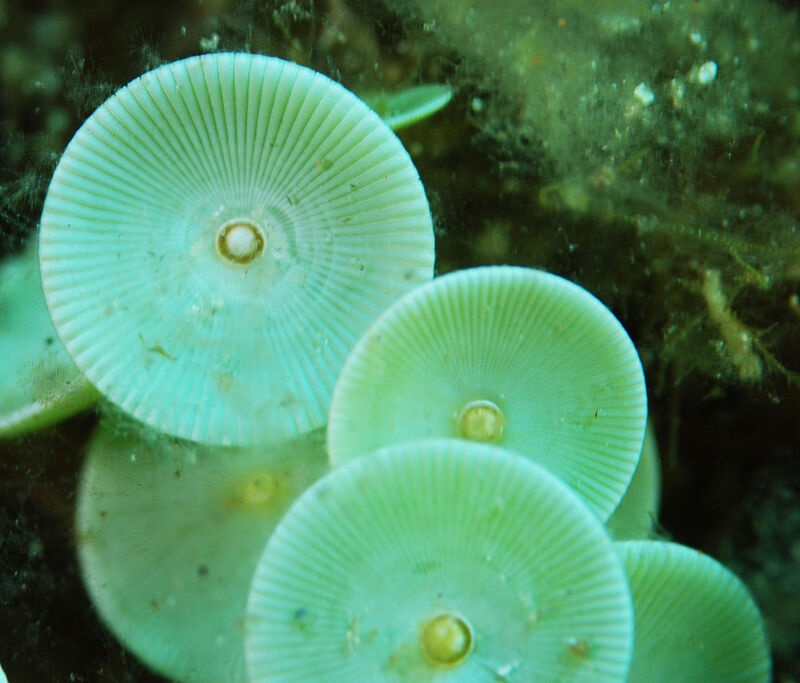 Gromia sphaerica has been found at the bottom of the Arabian Sea and Caribbean. It is the largest motile (moving) unicellular organism. Thiomargarita namibiensis (Bacteria): While Thiomargarita isn’t nearly as big as the giant protozoa or algae, it bears the distinction of being the largest bacterium ever discovered. This Gram-negative coccoid is large enough to see with the naked eye. Normally, each cell ranges from 0.1 to 0.3 m in diameter, but 0.75 mm specimens have been documented. The bacterium’s name means “sulfur pearl.” The name refers to the way tiny sulfur granules in the cell scatter light. 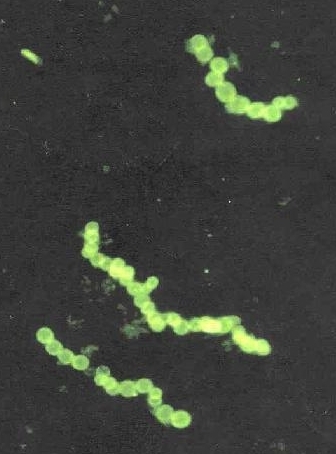 The bacteria form chains that resemble a string of yellow pearls. The species was discovered living in ocean sediment off the coast of Namibia. Epulopiscium fishelsoni (Bacteria): Epulopiscium isn’t as long as that largest recorded Thiomargarita specimen, but it competes for the title of “largest bacterium.” The Gram-positive bacteria ranges in size from 0.2 to 0.7 mm in length. The species was discovered inside the gut of a surgeonfish. It is about 1000 times larger than E. coli or B. subtilis! Bold, Harold Charles; Wynne, Michael James (1985). Introduction to the algae. Prentice-Hall. Tunnell, John Wesley; Chávez, Ernesto A.; Withers, Kim (2007). Coral reefs of the southern Gulf of Mexico. Texas A&M University Press. ISBN 1-58544-617.